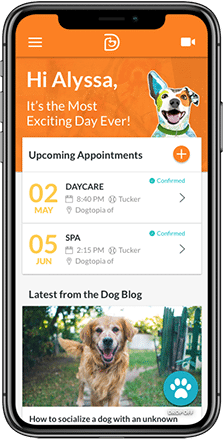 Dogtopia is a combination of three facilities – a daycare, boarding and spa – which makes it convenient for you and your pet to become your go-to place. 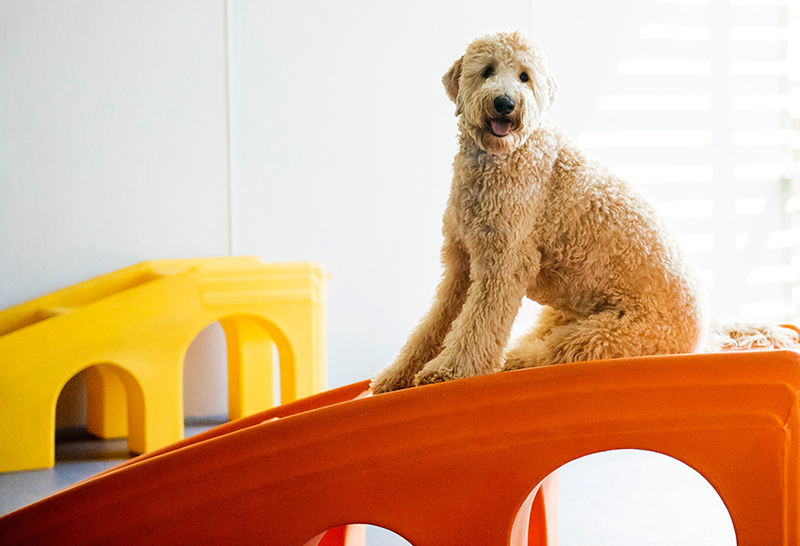 All dogs are supervised to ensure a fun day of play while you’re out for a day at work, or when you need to head out of town for a few days. Not only are our staff trained, they love dogs just as much as you do and give them all the tender love and care they need while they play. Pet parents might feel a little unsure about leaving their dogs at daycare, with the stigma that it means you might be too lazy to take care of your dog. At Dogtopia, we give your dog a chance to learn how to socialize with other dogs, and give them the playtime they need. If your pet is the chewy type, they may have a case of boredom and having a chance to play is the cure for it! To give pet parents a peace of mind, we offer a free service to view your dog at play via our webcams. We give pet parents the option to go for boarding, which allows pets to stay for more than just a day. We have the right tools to give your dog a good night’s rest, whether it’s a mini-vacation for them, or you’re away on a vacation and need a place for them to stay. 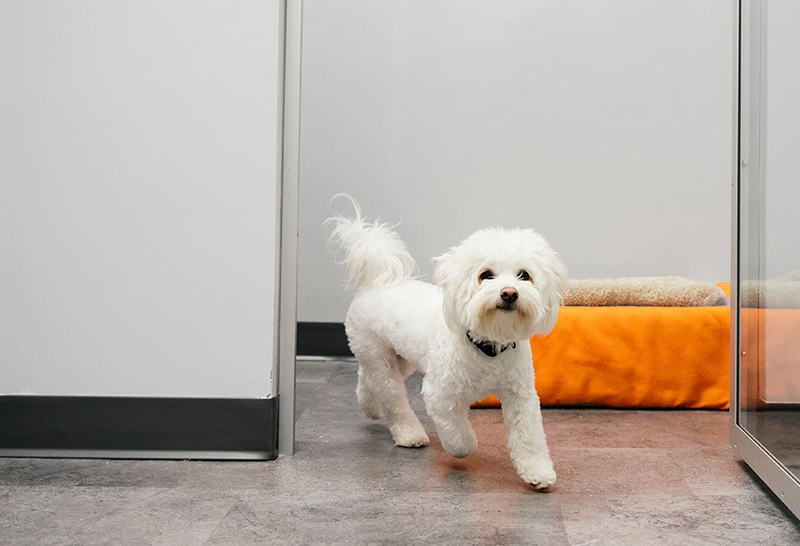 For those little escape artists, Dogtopia offers suites to make sure they’re getting the rest they need after a long day at play. 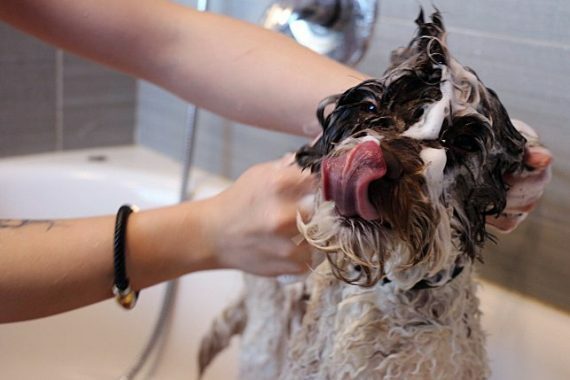 Dogtopia spa services ensures a clean and happy dog by the end of their visit! We offer spa baths, breed-specific haircuts, nail trims, ear cleaning and blow outs to make sure your dog has a clean coat. Our trained groomers are careful to ensure that the cut is clean. 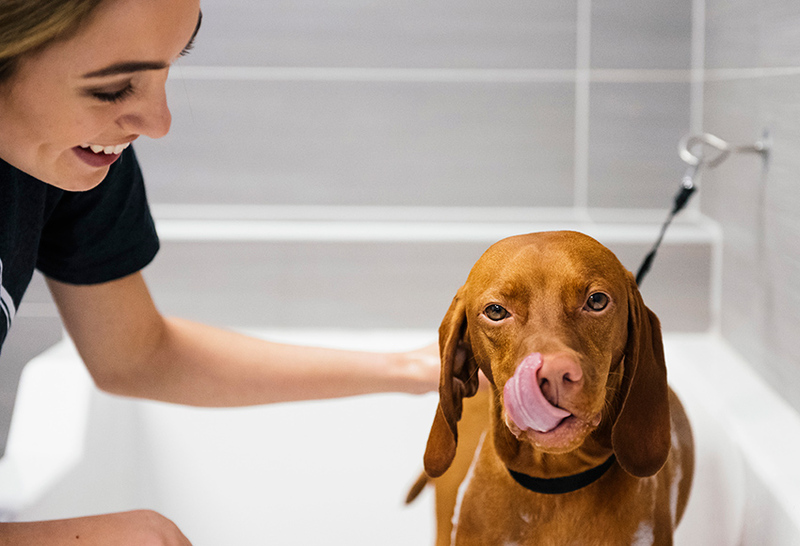 If you or your dog are unsure about you leaving them alone, you’re welcome to come stay and give your pet that peace of mind while they get a great bath in our state-of-the-art facility. For those fun events, we have dog paint and fun decor to dress up your pet, and you’ll come home to a happy memory of your dog’s visit.